The Lowdown: Novikov – you could be excused for thinking it was the name for a vodka bar, or somewhere serving goulash and other staples of Eastern Europe fodder. Yet while the name is undoubtedly Russian (referring to the restaurant-magnate owner, Arkady Novikov), this spacious den of lavish gourmet delights is dedicated to the twin cuisines of Italy and Asia. 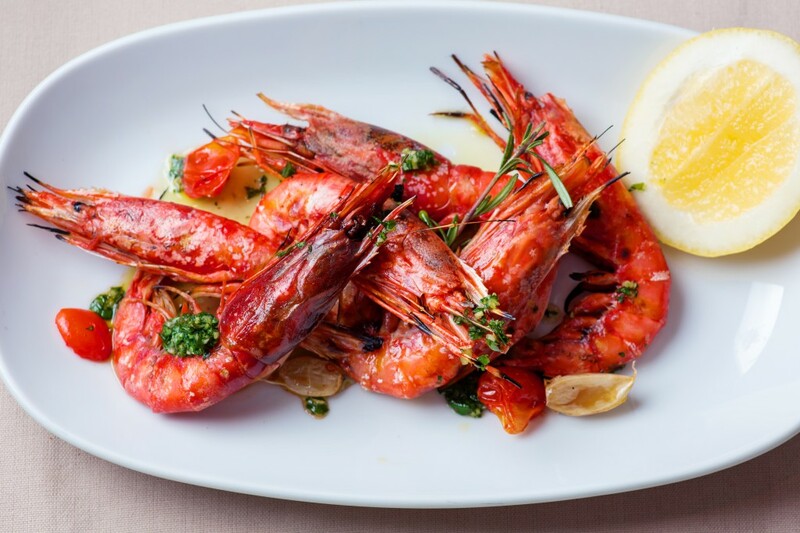 We headed to the Italian Room, where a stylishly chic interior provides the ideal backdrop for a variety of regional favourites created by Marco Torri, the esteemed chef who hails from Northern Italy and adds authentic Mediterranean pizzazz to the menu. Location: A winner in the Monopoly real-estate stakes, Novikov is right in the bosom of Mayfair – a few steps from Green Park station, where Designer Bag Bingo can be completed in minutes. The Occasion: We visited at midday, midweek, which made for the ideal languorous lunch where hours slipped by unnoticed, and while we were there saw men in suits, large family parties, groups of friends and ladies-that-lunched. In the evening the romance is assumedly stepped up a notch, making it the perfect date-location to bring a loved one then serenade them with ‘That’s Amore’ when too much grappa has been consumed. Decor: Modern yet elegant, with the lovely sense that one is dining in an enclosed Italian courtyard. The wrought ironwork on the balconies, handmade tiles and bursts of green from pruned trees add a rustic charm, while suede wall panelling and candles glowing from impressive chandeliers score highly on luxe design. Atmosphere: Serene, relaxed and competent. The waiters drift from table to table, murmuring in their Italian accents (assumedly real and not adopted for service), giving fine recommendations and topping up glasses before you even realise your chianti is running low. Culinary Concept: This is regional Italian fare with a contemporary twist, where freshness is of the utmost importance. Fish glisten on ice before the open-kitchen, and you can choose your hunk of steak from a selection brought to the table by your waiter. What we tried: We began with a bread-basket – and while this may be a cardinal sin to some, we had no regrets once we tried the more-ishly soft white bread and crisp Pane Carasau. It was served with an unforgettable tapenade that was fresh, piquant and had all the charm of a sundrenched olive grove, washed down with chilled prosecco. To start I had a plate of Buffalo Mozzarella from Campania – the lightest, most buttery soft mozzarella I have ever experienced. It almost evaporated on the tongue leaving my mouth full of dazzling flavour, more like a whipped cheese than anything solid- (apparently this is achieved through the art of stretching the strands). This was served with the plump ruby gems of Datterino tomatoes and superbly pungent basil. We couldn’t not try some pasta, and were seduced by the Coralli with veal ragout. As one would expect, the curved tubes of pasta were perfectly al dente with a delightful resistance at the bite. Chunks of meat and the pop of fresh peas made it taste homely, rustic and as good as if it had been rustled up in a kitchen in Naples. For main course I ate sea bass – a truly awesome piece of magnificent fish, snowy white, flaking at the touch of a fork, yet with the crisp silver wafer of skin holding it together. It rested atop a bed of plump butter beans that were both nourishing and comforting, and the ideal partner for the light fish. My dining partner indulged in the clay baked lamb – (we saw them break it off at our table), and it did indeed fall of the bone in pink chunks of delectable skin. 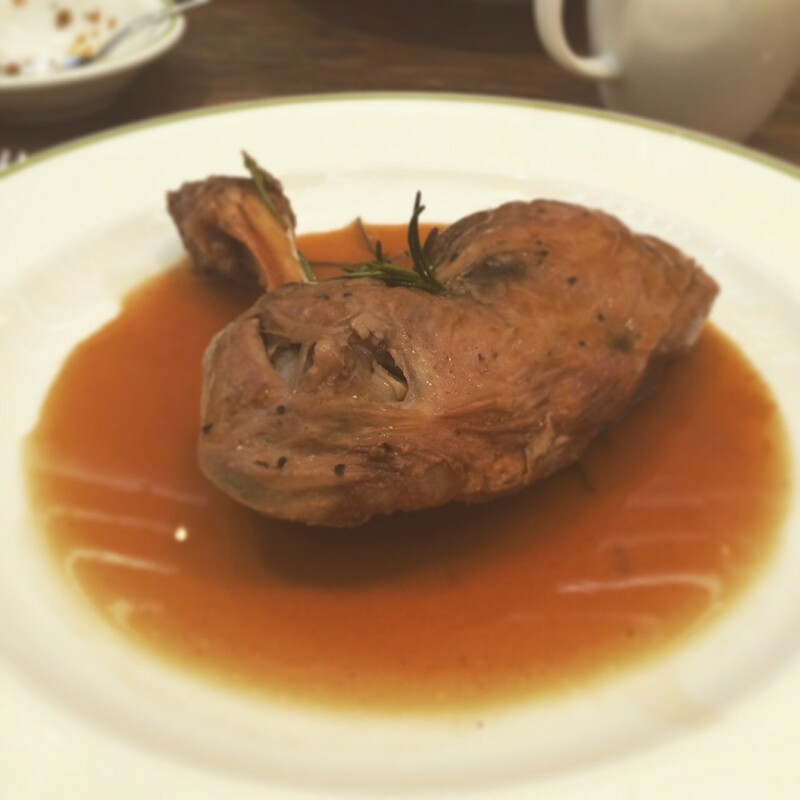 The shoulder was served with a delicious gravy, just right constancy – it clung to the flesh nicely, but was not so sticky or unctuous as to form a skin. Very impressive indeed. Any ideas of sharing a dessert were forgotten as soon as we saw the list – and I urge you to leave space, even it means waiting an extra twenty minutes for your food to settle. Novikov have one of the most exciting pudding selections I’ve seen in a long time –I eventually opted for banana crumble – a sticky, toasted delight of gooey banana and golden crumbled topping with luxurious salted caramel ice-cream. The panna cota was a wibble of mango flavoured delight that coated the tonge in exotic flavours, served with fresh fruit. Yes, we have a severe self-induced food-coma, and yes, it was totally worth it. For next time: I’d like to give more of the pasta dishes a going over – such as the Spaghetti with Baby Clams, Bottarga, Garlic and Chilli. Novikov also look like they’d make a mean pizza, and of course more desserts have to be tested. A green tea crème brulee has my name all over it. Best of the booze: The wine list is very impressive, and we washed our meal down with a light, flirty Pinot Noir that was so easy drinking, and left no tannin residue in the mouth. The dessert list also comes with a selection of accompaniments, and those who’re a fan of grappa will love this extensive portion of the menu.